Under delivery program from March to April & August to October. We produce, pack, ship and sale Mango Tommy from our farm in Guatemala and they are available from March to April & August to October. 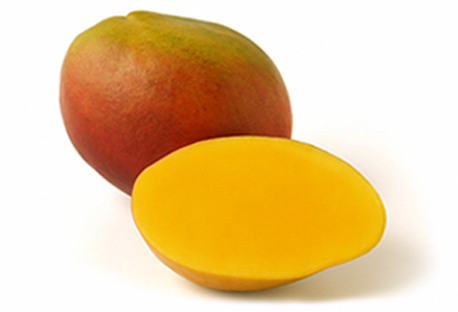 Tommy Atkins mangoes are a medium to large-sized mango variety weighing up to two pounds each. They are broadly oval-shaped with a green skin almost always covered with a dark red blush with occasional orange or yellow accents. The smooth skin is covered with small, yellow-green lenticels (pores) that appear like freckles. The skin is thick, protecting the firm, deep yellow flesh during shipping. Tommy Atkins mangoes are juicy, with a somewhat fibrous flesh, and a mildly sweet taste. The fruit must be lightly squeezed to determine ripeness.